(heart, gizzard, liver). Place the heart, neck and gizzard in the bottom of the roasting pan. retains the juices). Rinse turkey completely and pat dry. * Note that if your turkey comes with a plastic piece holding the legs together, replace with kitchen string to tie the legs together. 1. Preheat the oven to 500 degrees F.
2. Clean turkey and place giblets and organs in a roasting pan. 3. Separate skin from turkey and spread the sage and butter and some of the chopped garlic under the skin, being careful not to puncture the skin. Spread any remaining butter on the turkey and in the cavity, season turkey with pepper and some paprika. 4. Combine orange marmalade, apricot preserves, chopped onion, orange juice, remainder of chopped garlic, ½ cup of liquid from canned yams, and water in 4 cup measuring cup. Mix well. Pour half of the mixture on the outside of the uncooked turkey. Pour ¼ cup of mixture and a cup of water into the bottom of the roasting pan, along with the hearts, gizzards and neck, celery and carrots. Add some water to pan. 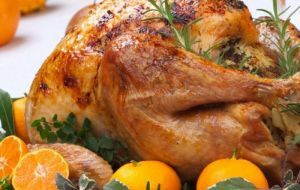 Bake on 500 degrees F for ½ hour and then reduce temperature to 350 degrees F. Baste turkey with remaining mixture every ½ hour. 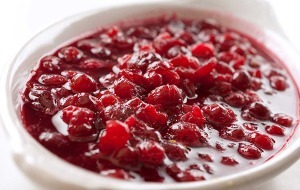 If the juice on the bottom of pan evaporates, add remaining juice and some water a little at a time in between basting. Cover with tin foil if turkey gets too brown on the drumsticks. Turkey should be done in 2½ to 3 hours, or until the internal temperature of the thickest part of the thigh measures 180 degrees F. Remove bird from oven, and allow it to stand for about 10 minutes before carving. • 1/2 cup Bread crumbs (Chop toasted or baked to dry out) homemade bread, or gluten free bread, no soybean or vegetable oil) in food processor or coffee grinder. 1. 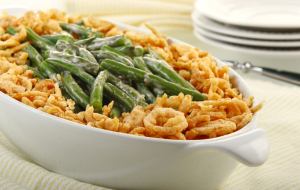 Place fresh slightly steamed green beans in baking dish, set aside. 2. In a large skillet heat 3 Tablespoons butter. Sauté mushrooms, garlic, and chopped onion. Sauté until cooked through. 3. In skillet add remaining butter and flour. Stir to make a roux. Add milk and bring to a boil. Stir to thicken. Add salt, pepper, and thyme. Add cream and stir to blend. Pour over green bean mixture and season to taste. Mix bread crumbs. Top casserole with bread crumbs. Cover and bake at 350 degrees for 45 minutes. The main purpose of creation is editing and storing recipes. • Working with recipes without internet connection. • Search and import recipes from popular social sites, as LiveJournal and BlogSpot. The sites list will be updated. • Supports creation and editing of any recipe with any number of photos and notes. • Comfortable “live search” for recipes is integrated with the operating system and browsers. • Import recipes from the corresponding site without main application. • All recipes are stored in a single file, so they can be backed up in case of loss or damage. • Each workbook supports any number of subfolders named by the user. • The ability to copy a recipe from any website by copying all the elements separately. • The possibility of increasing the size of the font for the elderly. • Dark and Light themes. • The application is constantly evolving and updated with new features. This is a simple app for storing, and searching recipes.Includes the ability to search by title or ingredient or only view recipes within a certain category. You can choose to browse recipes by Title or Category. You can now backup and restore your recipes to keep them safe. You can also customize categories (in-app purchase option). You can choose to remove ads (in-app purchase option). 1. 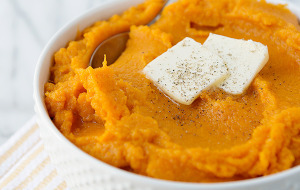 Mash sweet potatoes (reserve juice) add 1/3 cup of juice to sweet potatoes to keep moist. 3. 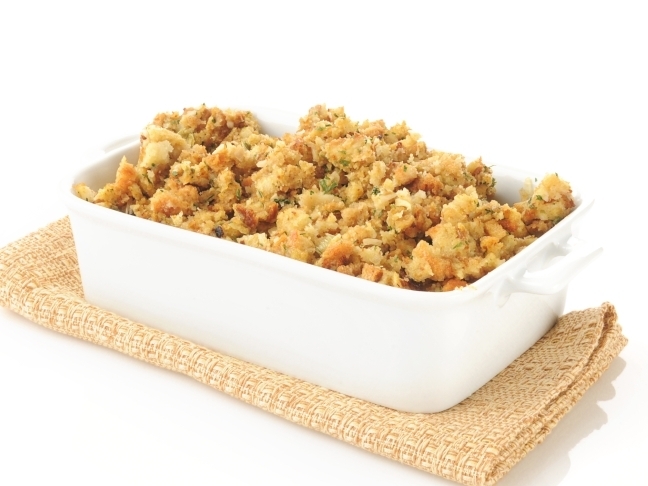 Place in casserole dish sprinkle remaining brown on top and bake for approximately 30-40 minutes.